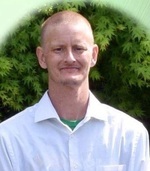 Billy Nipper Obituary - Maynardville, Tennessee | Cooke-Campbell Mortuary, Inc. The Memorial Candle Program has been designed to help offset the costs associated with the hosting this Tribute Website in perpetuity. Through the lighting of a memorial candle, your thoughtful gesture will be recorded in the Book of Memories and the proceeds will go directly towards helping ensure that the family and friends of Billy Nipper can continue to memorialize, re-visit, interact with each other and enhance this tribute for future generations. Billy Edward Nipper-age 34 of Knoxville passed away Tuesday afternoon, July 3, 2018 at his home. He was preceded in death by father, James Nipper, grandparents, Billy and Reva Robertson, Ed and Marjorie Nipper. He is survived by two children, Kateliegh Nipper and Alexander Nipper; mother, Sherry Davies and step-father, Rick Davies; brothers, James Nipper and wife, Angela; Chad Nipper and wife, Christi; three nephews, James Nipper, Skylar Nipper and Shawn Cameron; one niece, Avery Nipper. Several aunts, uncles and cousins along with a host of friends. Funeral service 7 P.M. Thursday, July 5, 2018, Grace Full Gospel Baptist Church, 122 Ashley Lane, Corryton, TN 37721, Pastor Weslie Vandergriff, Rev. Johnny Edwards officiating with music by Debbie Buckner. The body will be at the church 5:30 P.M. Thursday. Interment 12:30 P.M. Friday, July 6, 2018, Lynnhurst Cemetery, Knoxville. Pallbearers: Rondie Lee Buckner, David Richburg, Buddy Robertson, James Nipper, Chad Nipper, Rob Arthur. Arrangements by Cooke-Campbell Mortuary, Maynardville.